Today I wanted to talk about balance. I’m sure you’ve heard in card making there are rules. The rule of thirds. The gallon, pint, quart rule. The odd number rule. Sometimes you can throw all the rules out and still end up with an amazing project. Other times when it seems like your elements just aren’t coming together those rules can be quite helpful. This includes finding a balance in your design. Before I get to the cards I want to talk about how I created my rainbow patterns. I recently got the Hero Arts Stylish Borders Stencil and there are so many awesome options with it. I embraced my love of the rainbow and made a few backgrounds. I did some inlay die cutting with this one. I decided to die cut the butterfly because it is a softer shape and balances the hardness of the triangles. The simple black sentiment provides contrast and doesn’t compete with the busy pattern. I really loved the chevron pattern but it seemed a little big so I only used a portion of it. Since the top left is so busy I placed my sentiment in the bottom right to balance it. The addition of the stars and enamel dots draws the eye to the sentiment. It also grounds it so it isn’t just floating all by it’s lonesome 🙂 I used an odd number of embellishments since it’s more pleasing to the eye. If you use even numbers your brain automatically tries to pair them. Weird huh? The stars were stamped in black but felt too dark to me so I outlined with a gel pen. I love how they pop! Cut me a break, this is busy for me ha! I loved the swirls on the stencil they looked like party streamers to me! I can also see them being water for an underwater card or wind for some fall leaves. So many possibilities! I wanted my streamers to look a little dreamy so I added a few with embossing paste and a few more tracing the stencil with my stickles. Since the streamers are so soft I kept the shape of panel and the sentiment banner hard. I let the balloons over hang the edge to add some interest and put the sentiment in the “sweet spot” according to the rule of thirds. If you love this stencil as much as I do you’re in luck because it’s currently on sale for only $4.00! What a steal!! Don’t forget we have a current challenge to play along with. Create a project for either Autumn or Christmas and you could win $25.00 gift certificate to the store. Categories: Handmade Cards | Tags: Balance, birthday cards, Distress Ink, Happy Birthday OWH, Kelly Latevola, stamping, Stylish Borders Stencil | Permalink. Such great cards Kelly! The last one is my fav! I love that the background looks like streamers. these are beautiful==love each of them and how you explained your process…the rainbow with the stencil is a great pairing! These stencilled cards are just so colourful, cool and fun. Love them. Hey Kelly — What a great post and so educational and inspiring for anyone who may be new to cardmaking. You shared so much great detail, and then came up with those amazing cards to match!! Way to go — this is one of my favorite posts and one that I Love!! Love your streamers card, Kelly, and thanks for showing us that stencil – I don’t think I’ve ever seen it used before – going onto my wishlist now! Fabulous use of color in these CAS designs! 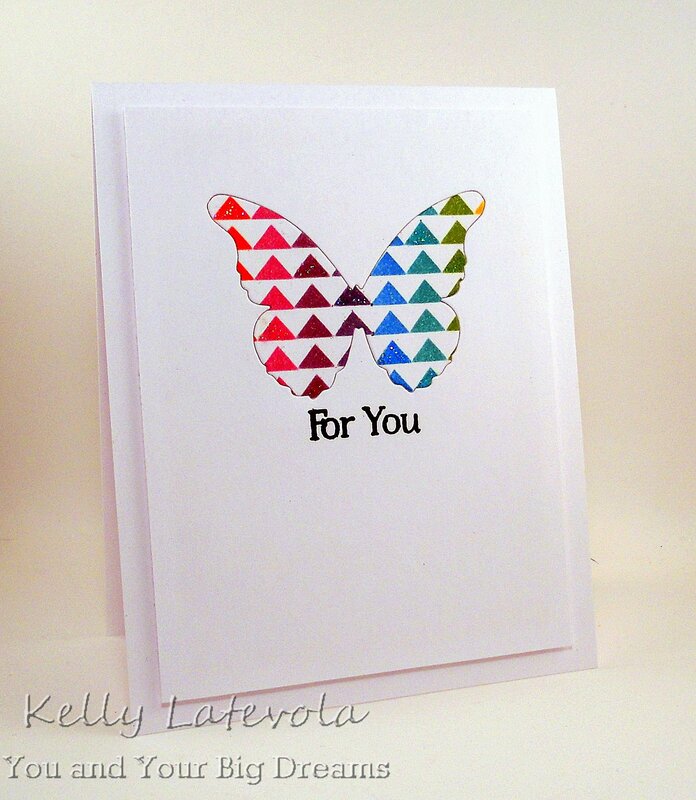 You have really showcased the stencils in this set so beautifully, Kelly! 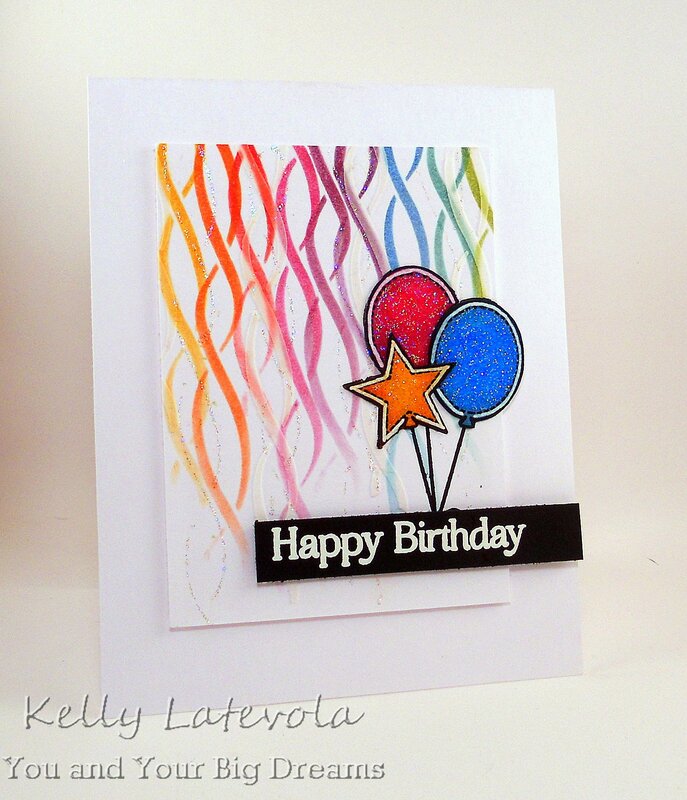 I love all the fun, bright colors and how you designed all of your cards! Thanks so much for all the ‘design’ tips, too! Kelly, your cards are beautiful, love the fun bright colors. Hey Kelly!! I love your cards. The design and the colors are fabulous!!! I will have to try this. Nicely done.